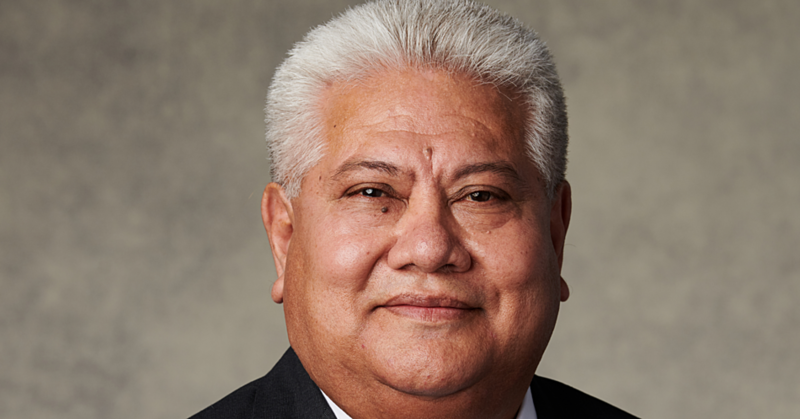 Ask 45-year-old Fuimaono Vaiao Eteuatiand he will tell you that if you dream big and are prepared to put in the hard work, success will follow. Yesterday, Fuimaono’s dream of becoming a lawyer was realised when he was admitted to the bar during a moving ceremony in the Supreme Court. 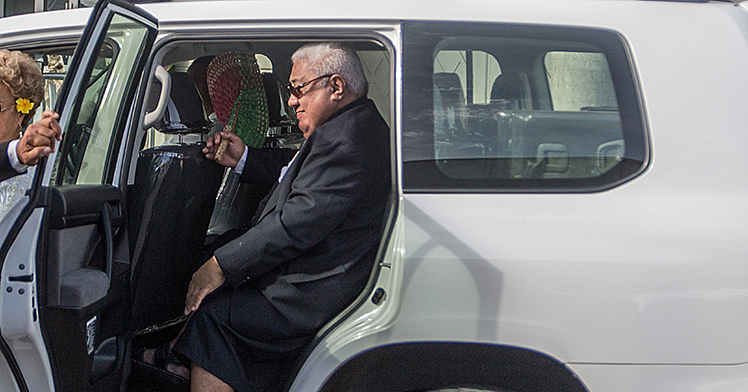 Fuimaono was joined by two other new lawyers, Natasha Schuster and David Junior Fong, in taking their oath to serve before the Chief Justice, His Honour Patu Tiava’asue Falefatu Sapolu. 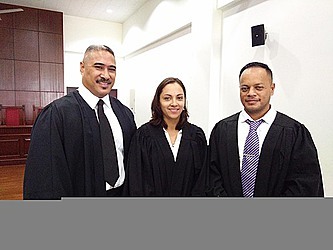 Lawyer Shane Wulf presented Fuimaono and Mr. Fong while Leota Raymond Schuster presented Ms. Schuster to the bar.Tafailagi Peniamina appeared on behalf of the Samoa Law Society. Chief Justice Patu congratulated the new lawyers and reminded them that to become a truly accomplished lawyer, they must work hard, persevere and be of good character. 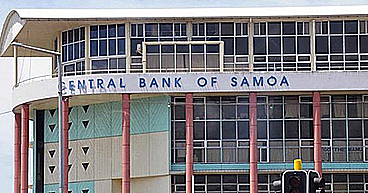 All three lawyers studied at the University of the South Pacific, using online technology. For the husband and father of six children, Fuimaonowas a proud man yesterday. “I have tried for so many years but here I am, I’ve finally made it,” he said, reflecting on his journey of studying law online. Fuimaono’s mother, Erolini Eteuati, shared her son’s excitement. “He is our eldest son and we thankGod for his blessings,” she said. Ms. Schuster, who works as a Lecturer at the National University of Samoa, echoed Fuimaono’s excitement. She studied part time, taking law at the University of the South Pacific at Alafua. For now, Ms. Schuster said she would continue as a Lecturer, praying to see where God will take her from here. As for Mr. Fong, he said he was extremely grateful. He recalled the struggles with assignments but all that is now a thing of the past. Mr. Fong is already working for the Office of the Attorney General.